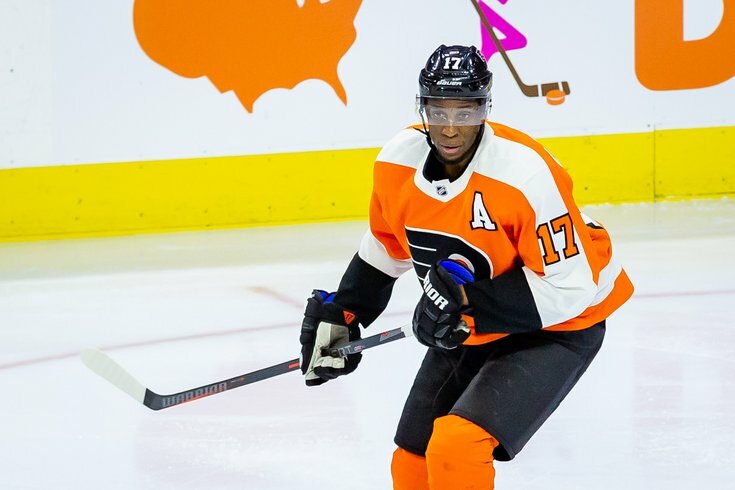 It's been a while now for Wayne Simmonds on the proverbial "trade block," and with the trade deadline inching ever closer, the power forward may have just two more games left on the Flyers roster. It's worth mentioning, first, that Simmonds is having a bit of a down year, with just 27 points in 60 games thus far this season. Through his first 10 NHL seasons, the 30-year-old has averaged just over 44 points per year. He is well behind that pace. Is it a fluke of a down year, or a decline? Will Flyers move one of their goalies before Monday's deadline? Interested teams will need to navigate those concerns, as well as those that the winger is on an expiring contract and would be just a rental for 20-something games into the postseason for whomever trades for him. Which means as a free agent in the summer of 2019 he will be free to potentially return to Philadelphia. It sounds as though Philly GM Chuck Fletcher will have a lot to weed through to potentially turn it into a seller's market and get a good deal for a Simmonds rental. That is, of course, assuming the Flyers don't win against the Canadians and Penguins prior to next Monday's deadline, putting them right on the brink of sliding into a playoff spot.